Late last year at EICMA in Milan, BMW Motorrad announced their intention to introduce a “Boxer ” model to celebrate 90 years of making motorcycles. At the time this image was all they were giving the world in terms of what to expect, but it didn ‘t take a genius to predict that the “Boxer ” would likely just be a more naked and more “cafe ” version of BMW ‘s R 1200 R roadster. Personally, I would have loved to see a new, midsize 800cc air-cooled boxer twin, but I didn ‘t have very high hopes for that. Engine dreams aside, today the internet is abuzz with concept renderings of the “Boxer ” model. These renderings appear to confirm previous assumptions. It definitely looks like the R 1200 motor and it ‘s certainly got a bare, cafe influence. The post-modern style, nearly Ducati Monster-esque front headlight is every so slightly throwback, but kind of a disappointment, frankly. This bike could have been BMW ‘s opportunity to recapture a much greater feeling of old R-series airhead nostalgia and tap into the ever growing surge of minimalist, custom old BMWs. Instead, this “Boxer ” model — which may reportedly also go by the moniker of R 1200 Custom or possible the “Mystic ” — seems much more grounded in the aesthetic of what ‘s being done with old K-series BMW motorcycles. Yet on closer examination, that appears unintentional. It ‘s clearly inheriting most of its character from the existing R 1200 R, which is, of course, the most sensible route for BMW to go in producing a new model at minimal development expense. Yet in that practical assumption lies the rub. While I appreciate that my disappointment lies squarely at the feet of my own baseless, hopeful expectations; I can ‘t help but feel like this is an opportunity missed for BMW. This could be their Bonneville. Their V7. The “Boxer ” could reach all the way back to BMW ‘s iconic “toaster tank ” roots and bring forward a modern classic truly worthy of celebrating 90 years of building bikes. Instead, it looks like they ‘ve done a simple R 1200 R — whose $13,880 MSRP means the “Boxer ” won ‘t be nearly as accessible as other modern classics either. On its own merits, it looks like a good bike, and in its simplicity will likely be a wonderful motorcycle. Yet I still can ‘t help but mourn a little for what could have been. Yet if BMW is good for anything these days, it ‘s for building bikes that are a lot more than what they appear at first glace. 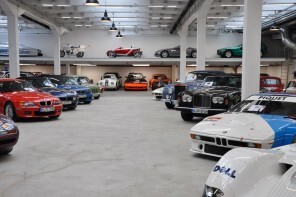 I look forward to getting my hands on one of these and seeing just what BMW ‘s cooked up after 90 years. 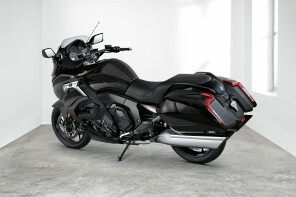 I really like this model, I wonder when BMW will release this bike. I like naked bikes with a mixture of retro, modern technology and simple design.